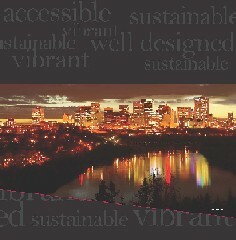 Innovative planning by the City of Edmonton has been recognized by the Alberta Professional Planners Institute (APPI) with a 2011 APPI Planning Award. The City of Edmonton Capital Downtown Plan received the Planning Award of Merit recognizing excellence in community planning. The City of Calgary was also cited for an Award of Merit for The City of Calgary Municipal Development Plan and Calgary Transportation Plan. The Town of Hinton received the Planning Award of Excellence for the Town of Hinton Integrated Housing Strategy. Each of the award winning plans were cited as "innovative documents that are clear and concise which will make it easy for the municipalities citizens to implement through their development proposals and will help the decision makers in their approvals process. These documents are great examples for other municipalities facing similar issues to model their policy formulation after." The Alberta Professional Planners Institute is a professional institute serving over 880 private and public sector planners and academics practicing in Alberta, the Northwest Territories and Nunavut. APPI supports its members as leaders of community planning and is committed to the development of professional planners, promotion of the planning profession and serves as an advocate for community planning. APPI is an affiliate of the Canadian Institute of Planners (CIP). The Capital City Downtown Area Redevelopment Plan (Bylaw 15200) was approved by City Council on July 7, 2010.